A higher solids, better coverage and lower VOC content product than the standard 9100 Epoxy. Two-pack, glossy epoxy coating for metal, walls and floors. The most efficient epoxy system providing a very hard coating with high layer thickness for lasting results even with a single coat application. Rust-Oleum 9100 High Solids Epoxy is a higher solids, better coverage and lower VOC content product than the standard 9100 Epoxy. Two-pack, glossy epoxy coating for metal, walls and floors. The most efficient epoxy system providing a very hard coating with high layer thickness for lasting results even with a single coat application. Also ideal as a glossy floor paint for garages, warehouses, indoor car parks etc. Optimal protection can be achieved in only one or two layers. Easy 1:1 mixing ratio, no waste and no thinning required. Can be applied directly to sound rusted surfaces without the need for blasting. Longer lasting results means reduced downtime for repairs and re-coating. 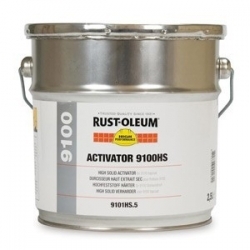 Rust-Oleum 9100 High Solids Epoxy is designed for application on manually prepared rusted steel surfaces and can also be used on clean, blasted steel, primed steel, concrete and previously coated surfaces. 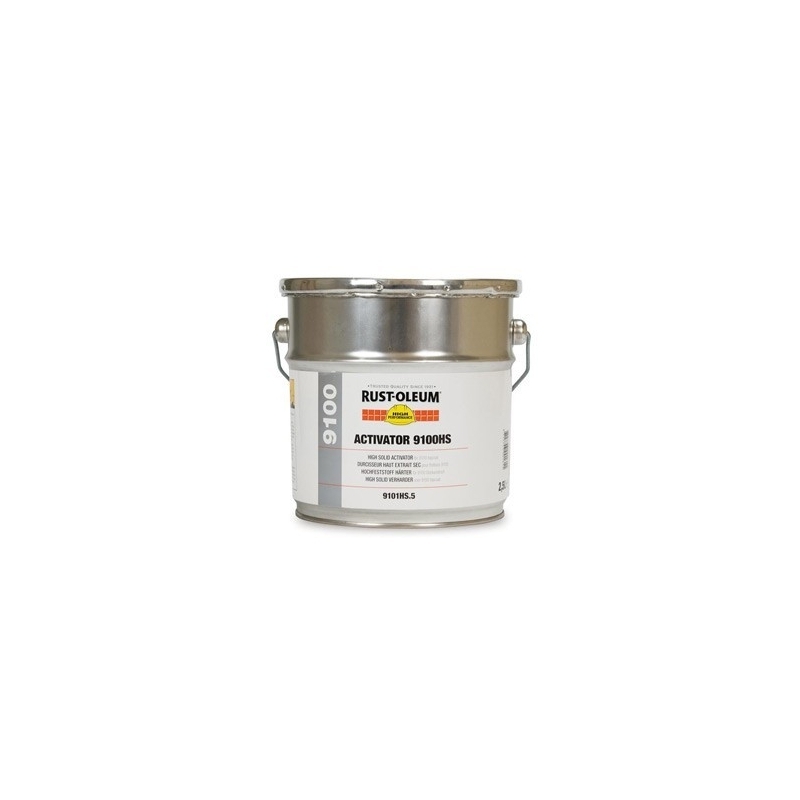 Rust-Oleum 9100 Topcoats are primarily intended for brush and airless spray application and can also be applied by roller. Rust-Oleum 9100 High Solids Epoxy offers excellent protection against strong chemicals, acids, alkalis and solvents; frequent product spillage and chemical cleaning; high humidity and moisture conditions. If good U.V. resistance is required Rust-Oleum Polyurethane Topcoats 9200, 9600 or 9900 should be applied (except for the clear coatings). Rust-Oleum 9100 High Solids Epoxy can be applied on cleaned, sound mineral substrates, sound, well prepared previous coatings; porous substrates should be primed with Rust-Oleum Impregnation Primer 5401; very dense substrates, like ceramic tiles, should be primed with Rust-Oleum Super Adhesive 3333. Please note: The outdoor durability and chemical resistance of the system can be further improved by the application of an additional topcoat Rust-O-Thane 9200 or 9600. Dear. Please sent the part numbers of the white paint & Grey paint. International Interzone 1000 is one of the most proven and reliable glass flake epoxies on the market today, with documented in-service performance dating back almost 30 years. 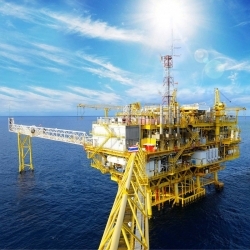 International Interzone 1000 provides outstanding abrasion and corrosion resistance to steelwork located in the harshest offshore and inland environments. 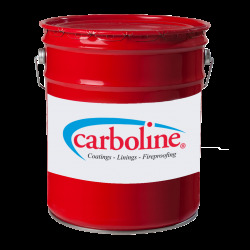 Carbomastic 15 LT is a high build coating with excellent adhesion to rusted steel and most aged coatings. 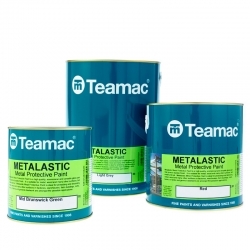 Top Features Surface tolerant Recommended for painting over rusted steel Penetrates through rust to steel substrate Excellent maintenance primer for piping and offshore structures, etc. 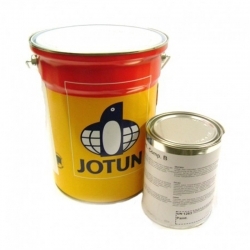 Jotun Jotamastic 90 GF is a two component polyamine cured epoxy mastic coating that is a surface tolerant, abrasion resistant, high solids and high build. It is reinforced with glass flakes for improved abrasion and scratch resistance. Specially designed for areas where optimum surface preparation is not possible or desired. 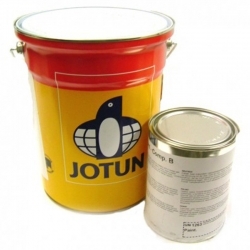 A high quality, high build, general purpose gloss paint for use on a wide range of suitably prepared surfaces such as wood, metal, asbestos, stable felt and more, available in a wide range of colours. 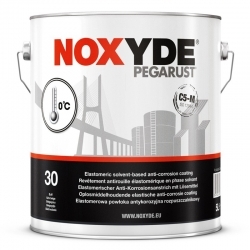 A rust preventing coating that is the solvent-based version of Rust-Oleum Mathys Noxyde that can be applied by brush, roller or spray in cold temperatures down to 0°C or on damp surfaces by brush, roller or spray.